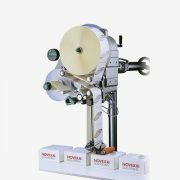 Our labelling solutions provide you with a wide range of labelling systems for accurately and reliably placing pressure-sensitive any shape label on any product. 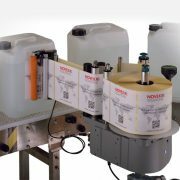 Flexible all in one solutions are available for easy and quick integration into production lines. 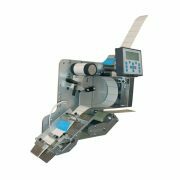 Our ALS 104/206-256 models are used for most labelling demands while our ALS 306/309 models are used for extreme labelling requirements. 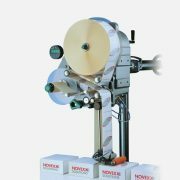 There is a standard solution available to meet a large range of labelling and print & apply requirements. 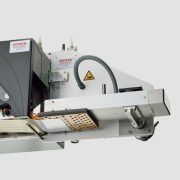 Compact modular design allows integration into the tightest of production lines. Simple Menus & rapid single-button machine set-up gets you running almost immediately. 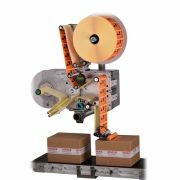 Information display – just press the “Info” button to show real-time production rate, product & label counters and time spent labelling.